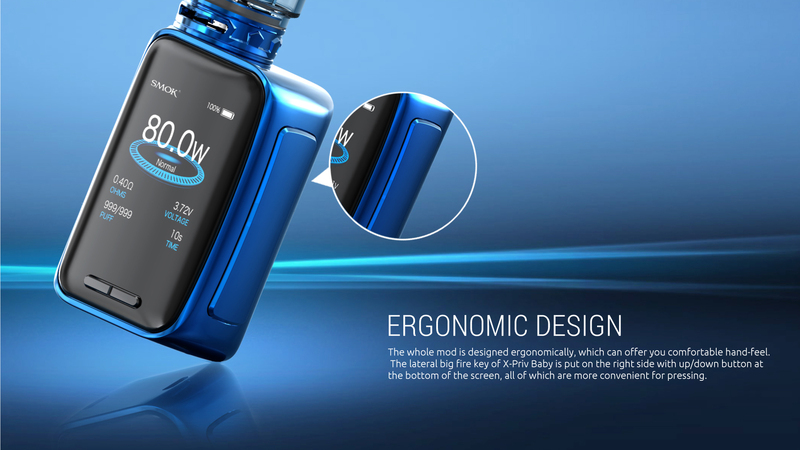 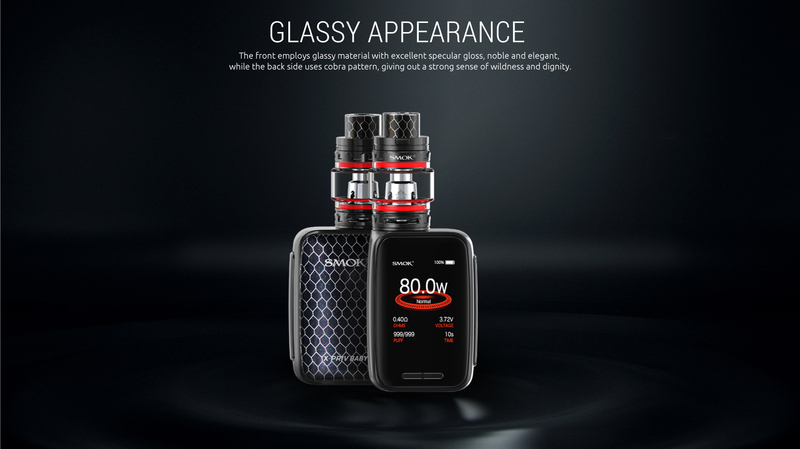 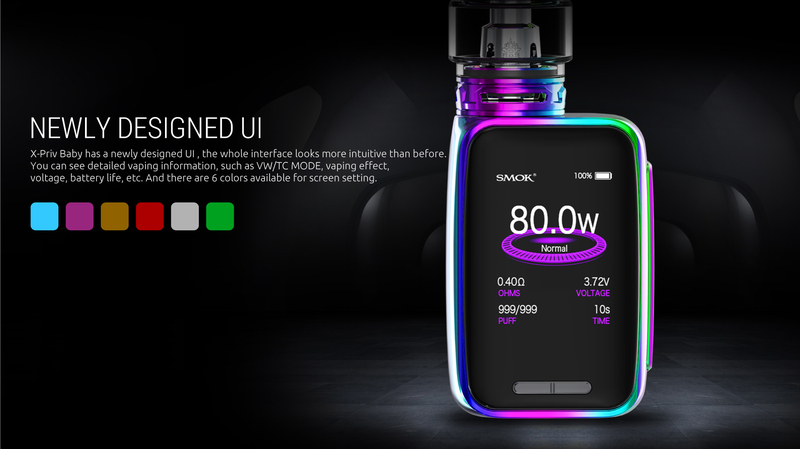 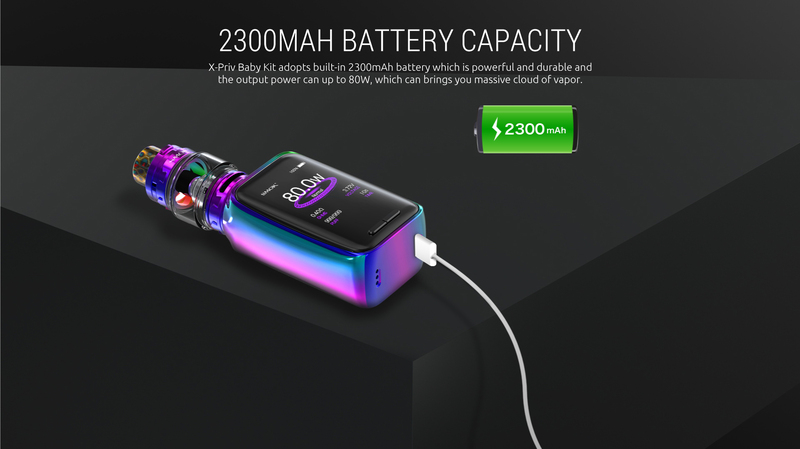 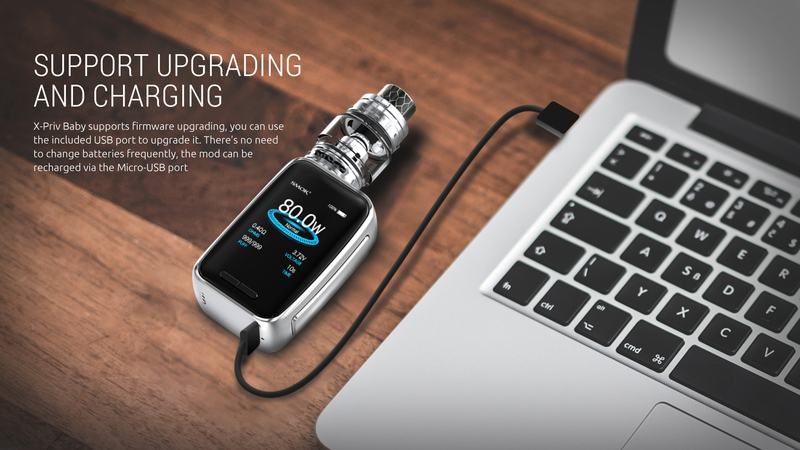 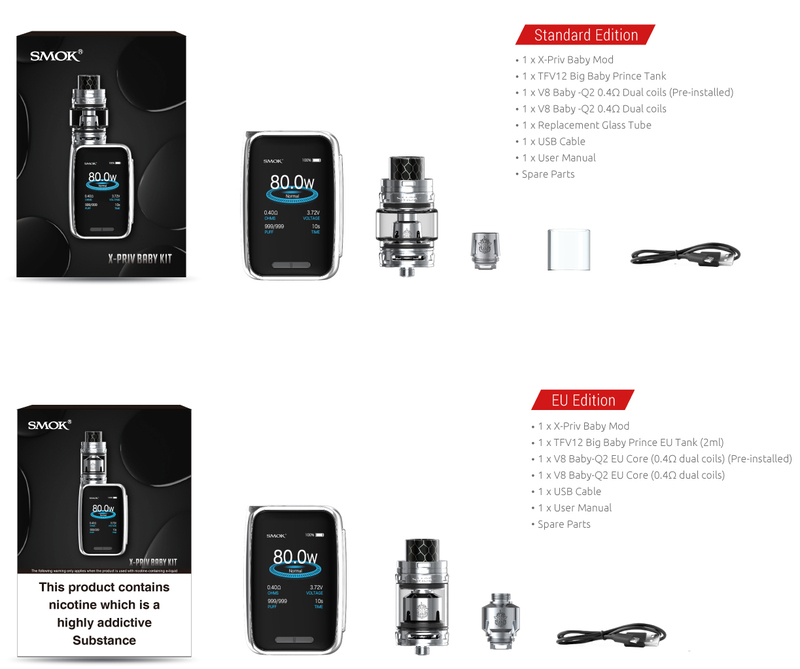 The SMOK X-PRIV Baby kit is the compact-sized device with 80W power output along with the 6ml capacity of TFV12 Big Baby Prince Tank paired up by 2300mAh built-in battery. 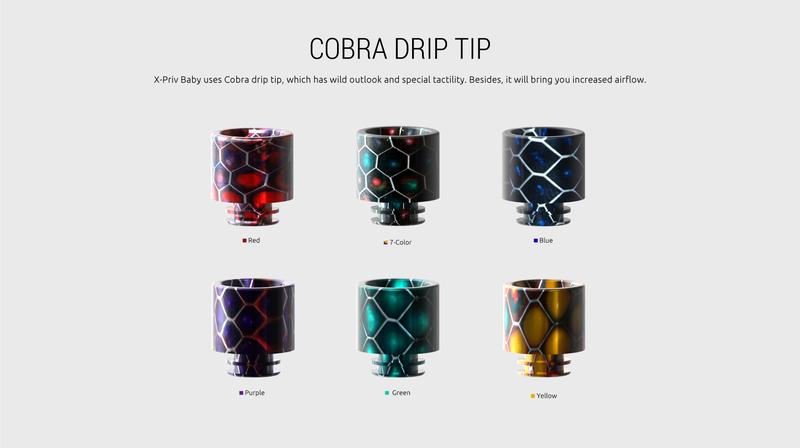 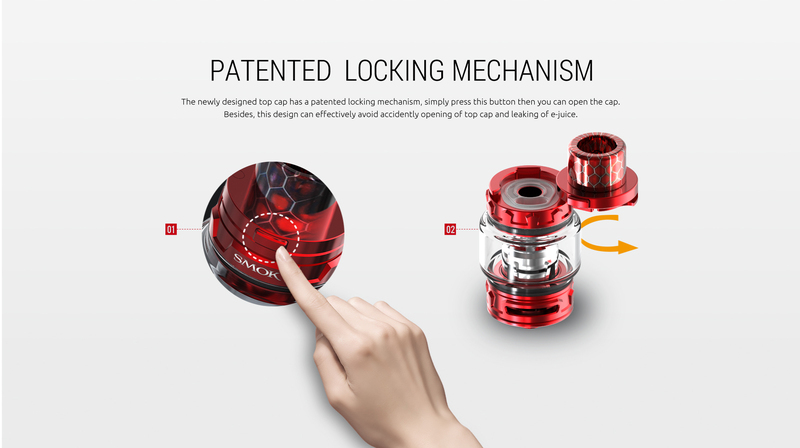 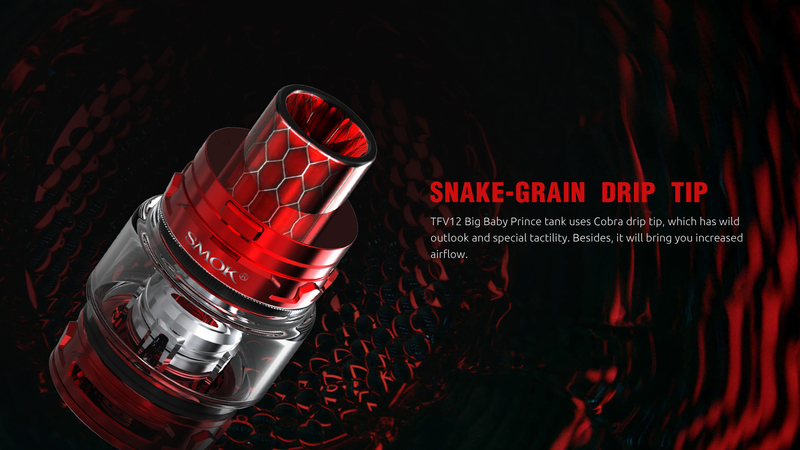 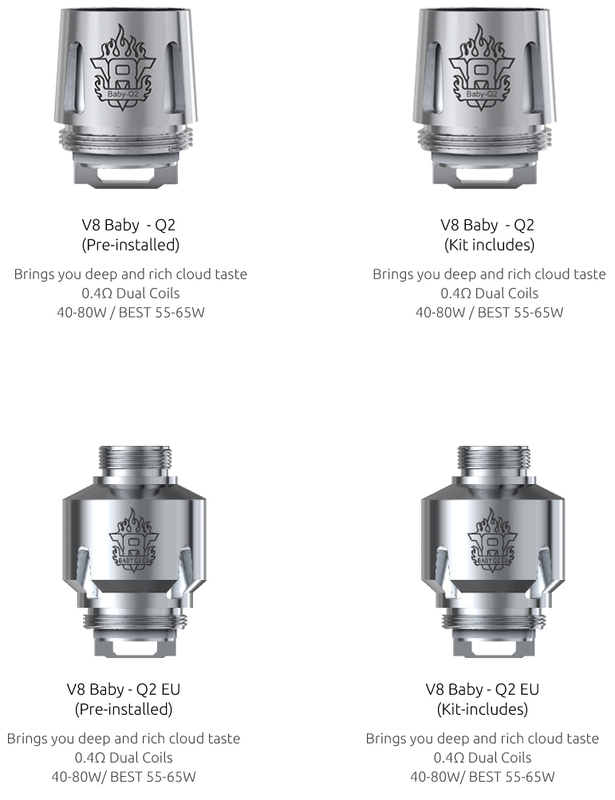 The TFV12 Big Baby Prince Tank offers a new button-lock hinged top fill, smooth dual bottom airflow control and utilizes TFV8 Baby Coil System. 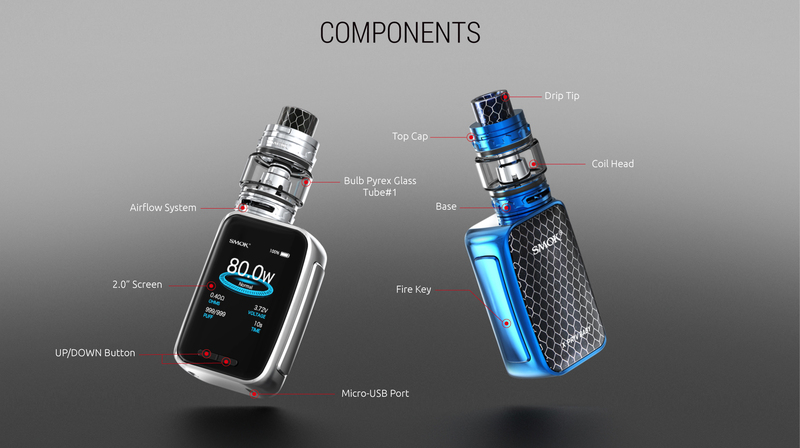 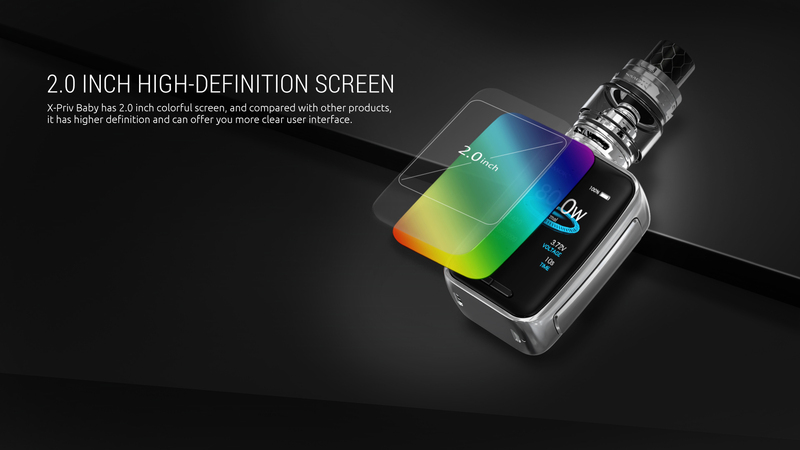 The X-Priv Baby kit has a large screen display of 2 inches with high resolution.Delicate, Classy and Shiny Textured at front and cobra pattern at back make it more visual appealing for all the users of the vaping community. 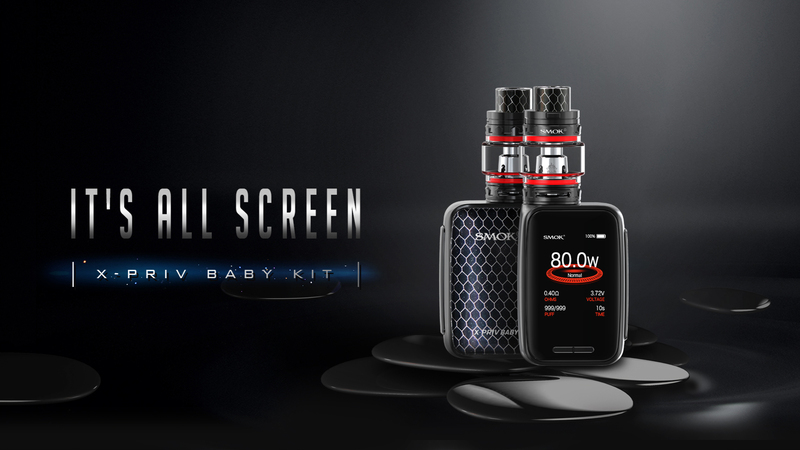 SMOK X-Priv Baby kit is introduced with nobility and style to add a pleasant taste. 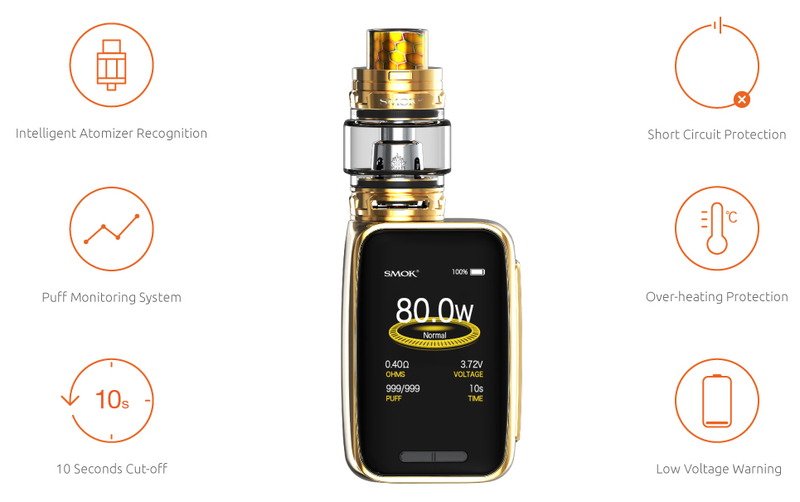 Dense vapors and longer vaping time adds shining points to the kit. 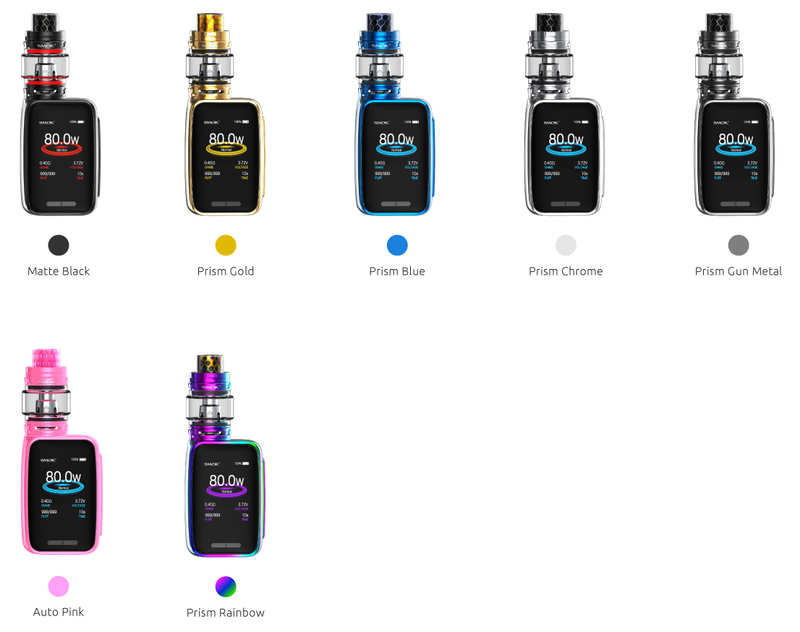 X-Priv Baby provides multiple types of protections to avoid potential risks.